Guadalupe Contreras knew death was in the field. It was a September morning in 2017, and the 60-year-old former mason had met a dozen or so people, dressed in boots and scruffy jeans, on the outskirts of Veracruz, Mexico, at an area called Colinas de Santa Fe. In a sandy pasture, surrounded by green hills, Contreras and the others rummaged through heaps of shovels and surgical masks. Then, one by one, they took five-foot iron rods, fanned out, and began hammering them into the earth. Each time they pulled out a rod, they sniffed the end for decay. They were searching for bodies. They were searching for their loved ones. They worked for hours in the torrid heat and found nothing. 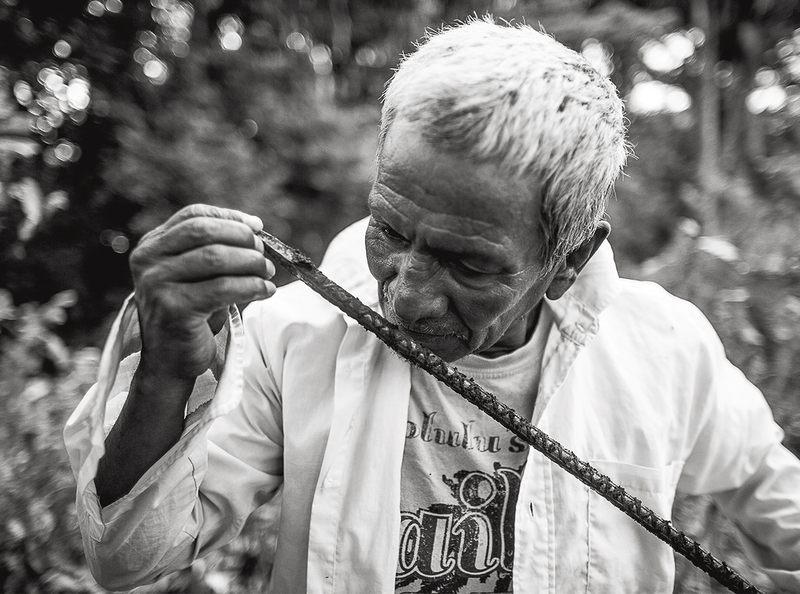 Around midday, Contreras bashed his rod into the ground again. This time, the tip had a familiar smell, reminiscent of cheap perfume and rotting meat. He had breathed it hundreds of times. It followed him everywhere. It clung to his clothes and his hair and his thoughts. He set the rod on the ground and called for the others. He knew what awaited him down in the dirt. THE BODY WASN’T Contreras’ first. He makes his living finding corpses and has proved adept at the job, even compared with other grave hunters. 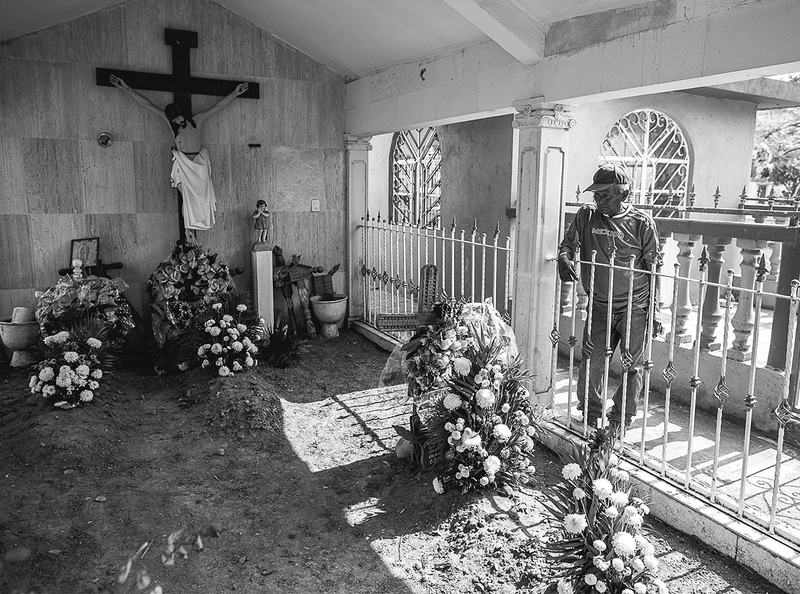 The particular body he found that September day had been dismembered, wrapped in four plastic bags, and buried about three feet underground—no doubt the handiwork of a drug cartel. When Contreras looked inside the bags, “there was still flesh on the bones,” he said recently. Since 2014, he has recovered some 300 bodies in similarly unmarked narco graves, many at Colinas de Santa Fe. The site is probably the largest clandestine mass grave ever found in Mexico. More than 250 bodies, in 150 burial trenches, have been recovered at the site since Colectivo Solecito—a group of families whose relatives have vanished, for whom Contreras now works—discovered it in 2016. And the search is far from over. Over the past several years, however, families of the vanished—rather than rely on the authorities—have taken recovery efforts into their own hands and turned to grave hunters like Contreras for help. “It’s not a job you do to get rich,” he told me. The work isn’t easy, so “you have to have a good reason to do it.” And he does. On that September day in 2017, Contreras, unlike the grieving mothers and fathers with him, had no real expectation of finding a relative at Colinas de Santa Fe. But he knew the pain of having a loved one disappear; he’d endured it himself. He’d lost a son. That’s why he’d come. That’s why he keeps searching. We soon came upon a clearing. When hunting for bodies, Contreras looks for clues, like alterations in soil color, depressions in the dirt, or disturbed vegetation. “If you see any of those signs, that’s when you have to stick the rod into the ground,” he said. “Then you take it out and sniff.” He hammered a four-and-a-half-foot rod into the earth, extracted it, and lifted it to my nose. It smelled like damp soil. Had the aroma been foul, “that’s when you dig,” he said. “There are so many traps like that,” Gonzalo explained. Some trees smell like rot, and buried trash and buried animals can also lead a search astray, he added. BEFORE CONTRERAS DUG for corpses, he made tombstones for them, having spent most of his adult life as a mason. He was well liked by his colleagues and worked hard to support his wife and their five children. Most days, he went from home to work and back uneventfully. In his free time, he enjoyed drinking beers with friends. “It was a good life, an easy life,” he recalled. Perhaps his favorite pastime was watching soccer with his 28-year-old son, Antonio, with whom he was close. Slim with wavy black hair, Antonio was Contreras’ third child and shared his father’s fanaticism for the game. Contreras cheered for Club Deportivo Guadalajara and Antonio for Club Necaxa, so whenever the teams played, they’d demand that whoever’s club lost had to wear the winning team’s jersey for a week. 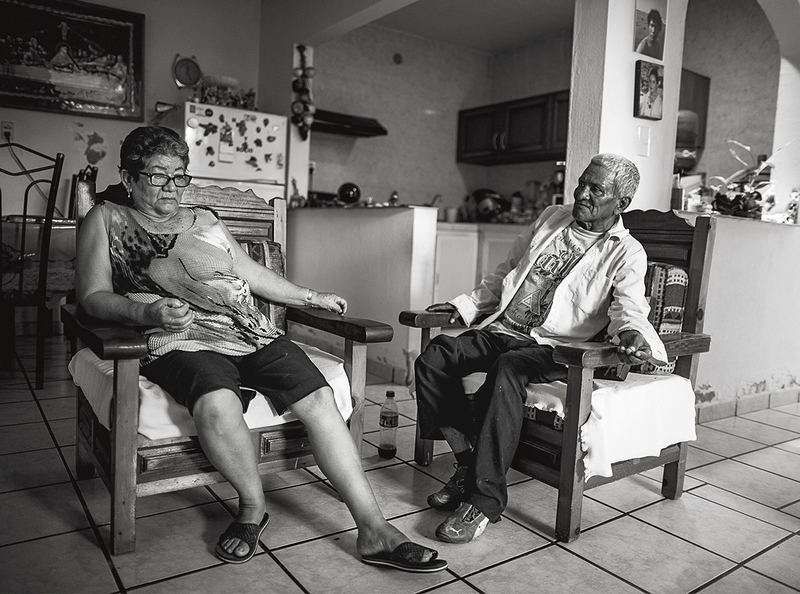 Even after Antonio moved out to live with his girlfriend, he stopped by regularly for advice or to borrow a few pesos from his father. Then, one day, in October 2012, Antonio disappeared. It was a Monday, and Antonio, an electrician and mechanic, had spent the weekend at the shop where he worked while his boss ran errands. That morning, Antonio, relieved of his duties, set off on the new 150cc scooter he’d bought several days before. What happened next remains uncertain. But based on information Contreras later gathered, Antonio first visited a friend’s house and chatted for a few minutes before driving to a car dealership to pay off a debt. Next, he stopped for a Corona. “After that, we know nothing,” Contreras said. Contreras was at home when he heard the news; he refused to accept it. Contreras was a capable man. A man who built and fixed things. A man in control of his life and everything in it. But suddenly, he had no idea what to do. He didn’t trust law enforcement; he feared that if he came forward, the rest of his family might suffer the same fate as Antonio. And though he didn’t want to admit it, neither out loud nor to himself, he knew that his son would not come home alive. He knew that Antonio was dead. Then, in February 2013, after nearly a year with no trace of his son, Contreras had a breakthrough: A guy he knew from his old neighborhood, who had connections to organized crime, agreed to find out all he could about Antonio’s disappearance. Contreras’ wife, Guillermina Mata, struggled to come to terms with the news. Grief-stricken, she stopped taking her cirrhosis pills, and Contreras feared that she was letting herself die. In August 2013, his suspicion became reality. Having refused treatment, she died in a hospital, leaving Contreras alone for the first time after 36 years of marriage. Guillermina’s death further rocked Contreras and his four surviving children. “My life partner left me in what was already one of the worst moments of my life,” he said. Yet he didn’t stop his search. His children worried about his safety and begged him to cease, fearing that they might lose him, too. But he refused to relent. He felt as though a part of him were missing, a part that he had to find. 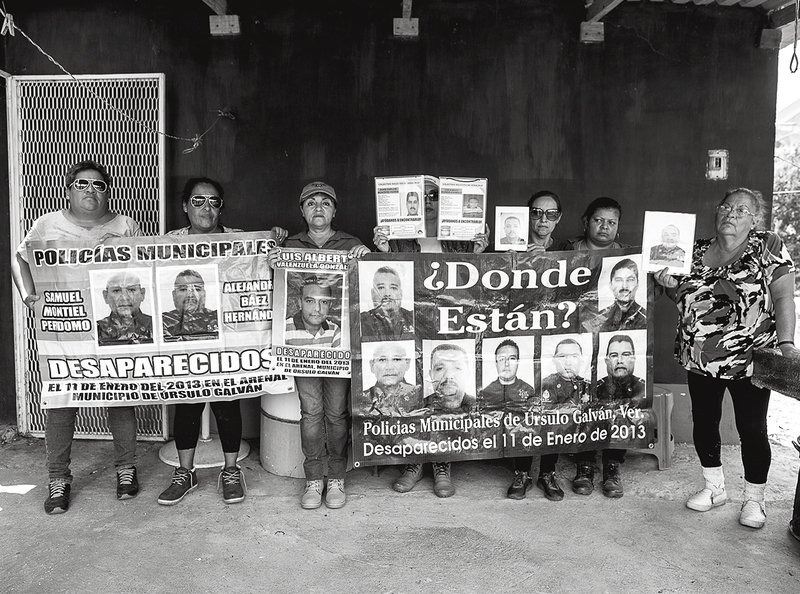 In November 2014, he and the other relatives of desaparecidos formed a collective, called Los Otros Desaparecidos, and began scouring the hills outside Iguala and Mexcaltepec for signs of their loved ones. After three days of toiling, Contreras found his first body. But it wasn’t Antonio’s. Still, people sometimes spent months searching for a grave to no avail; Contreras had uncovered one in days. BY 2016, AFTER nearly two years of looking, Contreras had little idea whether he was any closer to finding Antonio. But he intended to keep roaming the hills outside Iguala until he did. But his plan soon diverged. Within weeks, the three men had located and dug up 75 unmarked graves. Afterward, the other men returned home, but Contreras pledged to stay in Veracruz and help Colectivo Solecito, which, in turn, agreed to provide him with board and a modest weekly wage. But he didn’t take the job for the money. He knew that there were more bodies to be found and exhumed, even if Antonio’s probably wasn’t one of them. He had a duty to find them, since so few other people could. AFTER TREKKING THROUGH the woods, Contreras and I stopped by Colinas de Santa Fe, where he now works most days. An armed police officer stood before the padlocked entrance, ensuring that journalists, like me, couldn’t enter, so we parked outside the gate. In the nearly three years since Contreras moved to Veracruz, his life has fallen into a predictable routine. Each morning he wakes at 7, dresses, and gathers the iron rods, shovels, and other supplies he needs for the day. After breakfast, a federal police officer picks him up and drives him here, to Colinas de Santa Fe. At night, he returns to the house he shares with two other gravediggers, eats supper, smokes cigarettes, and calls his family. It’s a monotonous life, and Contreras’ work has numbed and jaded him. But in many ways, he’s still like the other mothers and fathers of the disappeared. He struggles with the incertitude of Antonio’s vanishing, and when no one is around, he still cries for his son. He misses his four kids and 22 grandkids. (“They ring me with their problems all the time. I’m miles away, and I can’t solve any of them.”) But his work in Veracruz puts needed distance between him and his grief. Returning to Iguala would likely prove overwhelming and force him to think about Antonio more than he already does. At least in Veracruz, he’s helping others in their suffering, rather than drowning privately in his own. 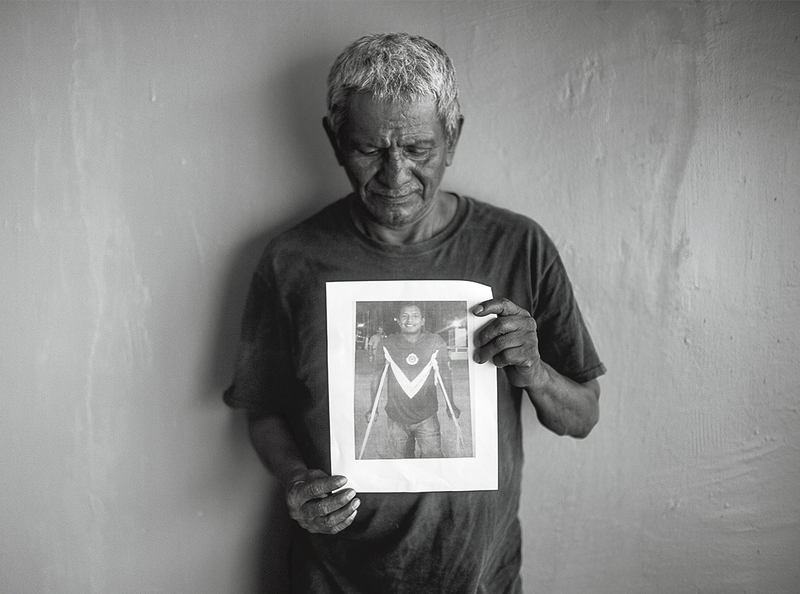 On the last day I spent with Contreras, we visited a cemetery 50 minutes north of Veracruz. The headstones and tombs were dusty and some ill-kept. But unlike those at the mass burial sites, at least each grave had a name. As we walked a dusty path, Contreras appeared neither content nor sad, determined nor resigned—only distant. He motioned to a tomb that had a six-foot crucifix. He said the plot belonged to Octavio Colorado Mora, a local mechanic. Earlier that afternoon, I’d spoken with Mora’s mother, who alleged that, in May 2014, police officers had abducted her son from his home. They didn’t ask for ransom, she said, so she didn’t know what became of him until January of this year, when his remains were identified. “I found him in the Colinas de Santa Fe,” Contreras said. Of the hundreds of bodies that have been recovered at Colinas de Santa Fe, Octavio’s is one of only a dozen or so that have been identified. The low conversion owes mostly to administrative problems. Mexico, until recently, didn’t have a national DNA data- base, and most state forensic departments are unstaffed or lack sufficient funding. As a result, cases are often delayed or lost, or DNA analyses never carried out—another obstacle for families in search of the vanished. Meanwhile, bodies continue to fill Mexico’s morgues. Guadalupe Melo Santiesteban heads the Institute of Forensic Medicine at the University of Veracruz, where coroners perform autopsies. “Last year, we received so many bodies from unmarked graves that they were spilling out of the mortuary and onto the street,” she said. Her team had to put up a tent in the backyard so that the public wouldn’t see the bodies. In the meantime, he must live with uncertainty. He doesn’t want the past to loom over the present or to have to wonder whether Antonio has already been found. “All I want is for this to end,” he said. As we walked back to the car, I watched as two young men, who seemed to be crying, laid flowers at a grave. Contreras glanced at them, perhaps with envy, perhaps with sadness. But he said nothing. He just hauled himself into the back seat and stared ahead. Tomorrow he’d wake at 7 a.m. to start searching again. And each time he smelled death at the end of his rod, it would cross his mind, however briefly, that maybe the discovery would free a family of doubt, that maybe this time, he’d find some relief down in the dirt—if not for himself, at least for someone else.